Only a few short months ago I did what I had never imagined doing before. I walked into a cosmetic surgery clinic to do a procedure that I had never up until that point heard of. 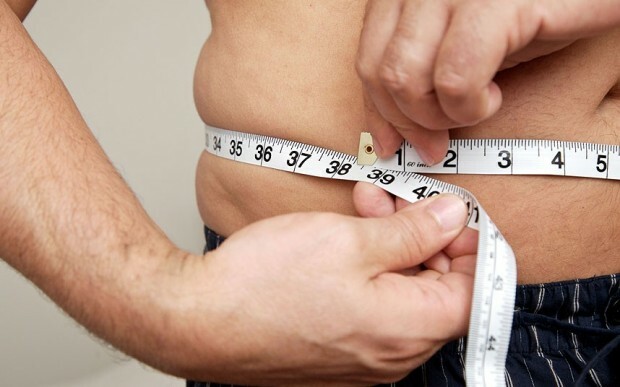 I had committed myself to try a new state-of-the-art treatment called Coolsculpting which claimed to freeze those few inches of stubborn fat from my my waist. I wouldn’t consider myself overweight at all, but those damned “love handles”, I didn’t exactly love. Knowing the appointment in the exclusive The Plastic Surgery Clinic in Toronto was impending was a lot easier than actually showing up to sit through what was going to be four one hour sessions. As I said, I had never been in a cosmetic surgery clinic before. I had never tried any type of treatment or procedure and, what was most disconcerting for me, I had never sat with a machine attached to my body for any amount of time, never mind four hours. The clinic’s atmosphere was tranquil and inviting. The treatment room was comfortable and relaxing as nurse Jenny assured me that it was common to be a little nervous and that I’d get used to the process quickly. After the requisite measurements and “before” photos were concluded I found myself laying comfortably in the reclined chair awaiting for the unknown. The Coolsculpting machine initialized and came to a dull, monotone hum. The applicator, approximately six inches in diameter was then applied to the targeted spot on my side, just above my hip bone. Suction is the next sensation. That little section of excess fat was pulled into the applicator and immediately I could feel the freezing sensation taking over. It didn’t hurt. It didn’t feel uncomfortable. It was a strange sensation however, especially as I remembered that I was still committed to an afternoon of laying semi-upright in what is similar to a dentist’s chair. I did this four times at four spots of my mid-section. It seemed to get easier and less claustrophobic with each session. 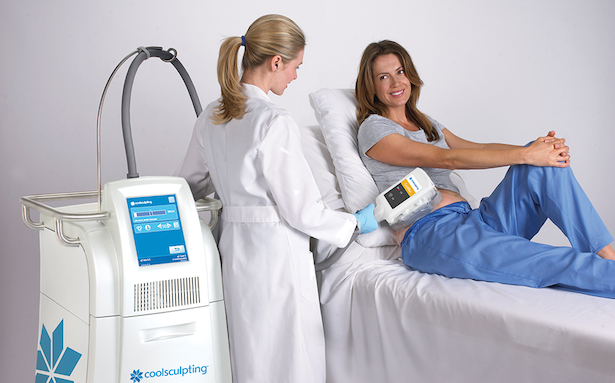 So what exactly was the Coolsculpting machine doing to me and where did it originate? Renowned Harvard University scientists, Dieter Manstein, MD and R. Rox Anderson, MD, had observed that some children got dimples due to eating popsicles. The idea that cold can selectively affect and eliminate fat cells without damaging the skin or surrounding tissue was the insight behind Cryolipolysis®, the proven science on which the CoolSculpting procedure is based. The idea that cold can selectively affect fat led to the innovative cooling process developed by scientists at the Wellman Center for Photomedicine at Massachusetts General Hospital in Boston, a teaching affiliate of Harvard Medical School. CoolSculpting technology claims to safely deliver precisely controlled cooling to gently and effectively target the fat cells underneath the skin. The treated fat cells are crystallized (frozen), then die. Over time, one’s body naturally processes the fat and eliminates these dead cells, leaving a more “sculpted” body without intrusive surgery. They informed me that it was typical to feel a tingling sensation for a few days post-treatment. I didn’t really. The area treated did feel a little bruised, but that was only a sensation as there wasn’t any bruising whatsoever. And my results? Well there will be no “before and after” photos found here, but overall I lost a little over an inch off of my waist with more expected over the next few weeks. Would I recommend the treatment? If you have a bothersome inch here or there and don’t want intrusive surgery such as liposuction, this is the treatment for you. You can use Coolsculpting to target any area that you want to sculpt including the inner legs, arms, hips and of course, those love handles..